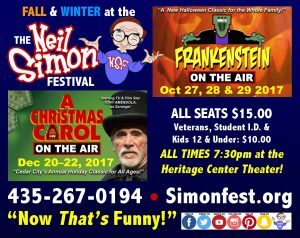 The Neil Simon Festival is at the Heritage Center in Cedar City. Professional actors, designers, directors, and artisans gather each summer in the Red Rock Color Country of Southwestern Utah to create a new season of laughter that always includes some of Neil Simon’s plays and occasionally other great comedies. Come and join them for a healthy dose of life’s best medicine—laughter! 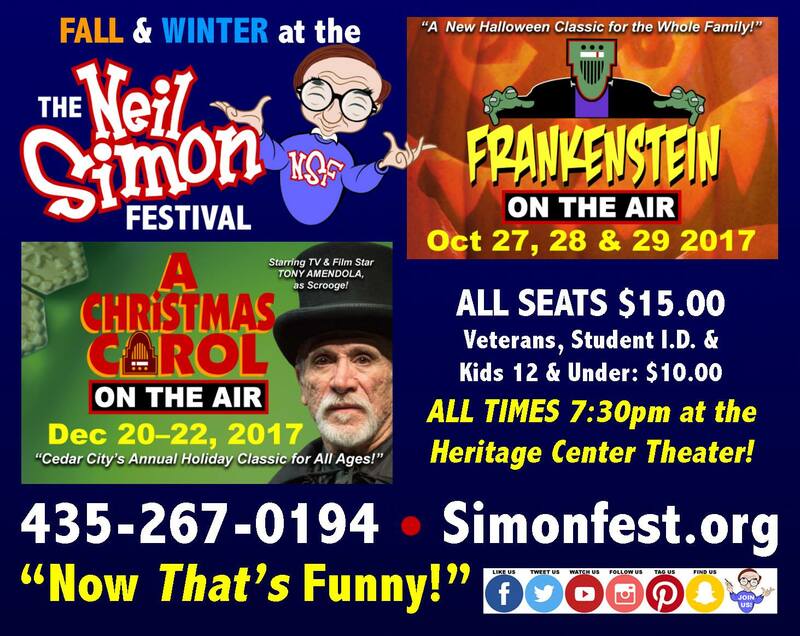 The Neil Simon Festival is the world’s first and only professional theatre company dedicated to honoring and preserving the works of America’s most popular playwright of all time — Neil Simon.